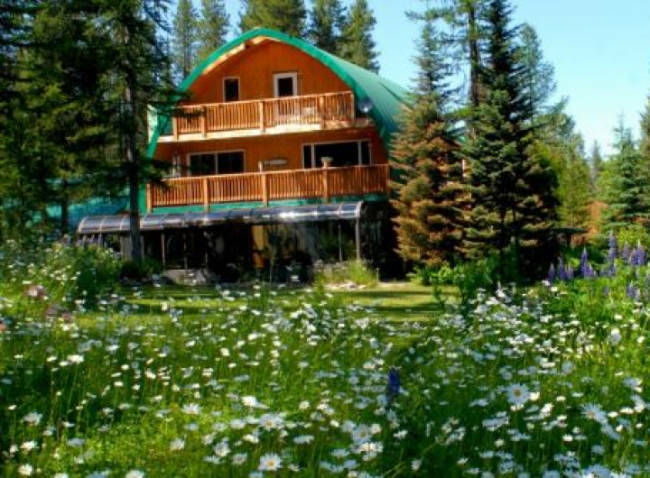 Located in Columbia Falls, just 7 miles from Glacier National Park's west entrance and only half a mile from the beautiful North Fork of the Flathead River, Moss Mountain Inn is a charming bed and breakfast and great accommodation for those looking for an alternative to a lodge and something more secluded. 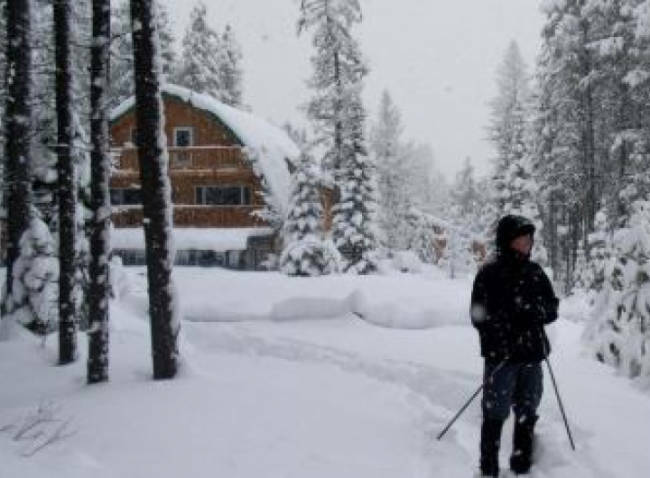 This beautiful, 3-story chalet style home features 4 unique rooms and everything you'd expect from a B&B including daily, full breakfast or to-go breakfast if you prefer, to-go snacks and a hot and cold beverage bar. In addition, the inn also features a library, on-site gardens, spring fed pond, 300-square foot solarium, fireplace, entertainment room, and elevated bird watching room. 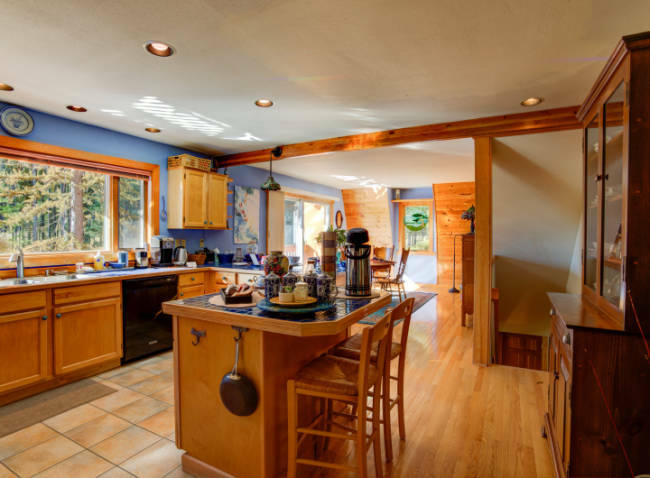 Situated on 6 acres within the Flathead National Forest, you are sure to enjoy the beautiful, serene area away from the hustle and bustle of town. All rooms feature private bathrooms and outdoor sitting areas and some have been recently renovated as well. Stay connected with your friends and family back home with their complimentary WiFi internet or computer/business center or relax on your balcony enjoying a cup of coffee and breathtaking views of the mountains inside Glacier. 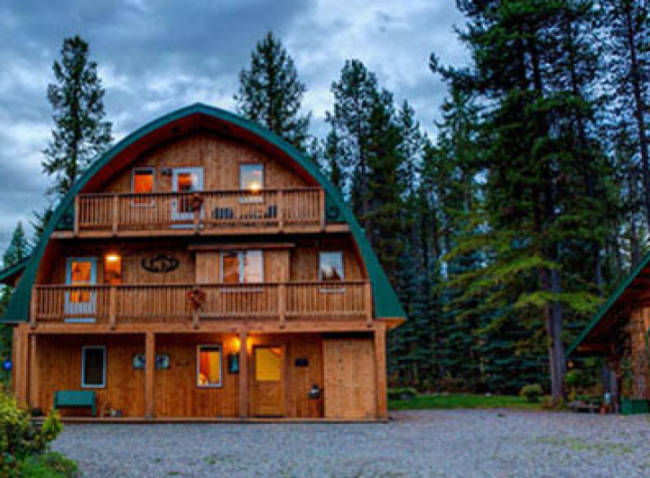 What better way to experience Montana's well-known hospitality than by booking a room at this gorgeous B&B? The Apgar Room is located on the second floor and features a queen bed, gorgeous wood paneling, full en-suite bathroom with a tub/shower combo, use of two decks and watercolor paintings of Glacier National Park. The Camus Room is located on the main floor of the inn with a private entrance through the Solarium. This new addition to the inn features a queen bed, beautiful wood paneling, private bathroom with shower and private seating area outside. The Highline Room is the most popular room at the inn and located on the third floor. This newly renovated room features a queen bed, vaulted ceilings with wood paneling, en-suite bathroom with walk-in shower, newly added in-room air conditioning and heating with remote temperature control and balcony featuring gorgeous views of both Glacier National Park and sunrises. The Grinnell Room is the second most popular room and is located on the third floor. 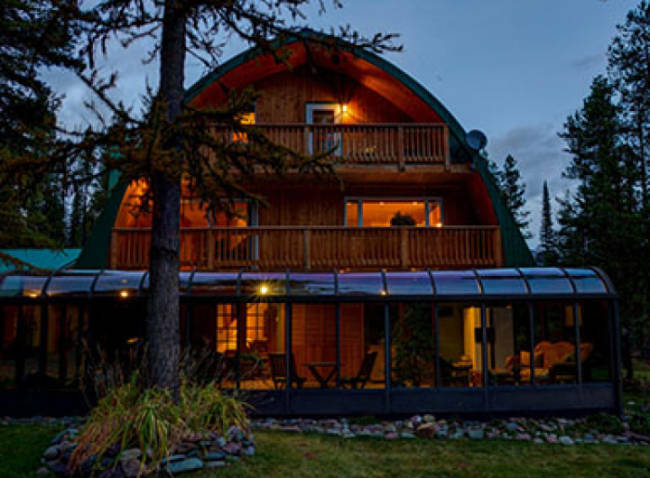 This room features a queen bed, twin bed, private bathroom with a tub/shower combo, newly added in-room air conditioner and heat with remote temperature control and private balcony with beautiful views of the Apgar Mountain range. Deposit is non-refundable up to 30 days from arrival unless a room is re-booked within 30 days from arrival entire stay is forfeited. A 60-day cancellation notice is required on whole house bookings and for some holidays and special events. Rates Policy: Rates based on double occupancy. Additional guests will be charged $40 per person per night. A 2-night minimum in the summer (June 1-Sept 15). Absolutely No Smoking inside, however, designated outdoor smoking areas are available. Children are not allowed. Special situations allow for children.